The garden furniture picnic table set TUSNAD-OR made of metal and wooden slats. The garden table set is designed for parks, recreation areas and playgrounds and other place for relaxation. The garden table set is composed from one table and two benches. 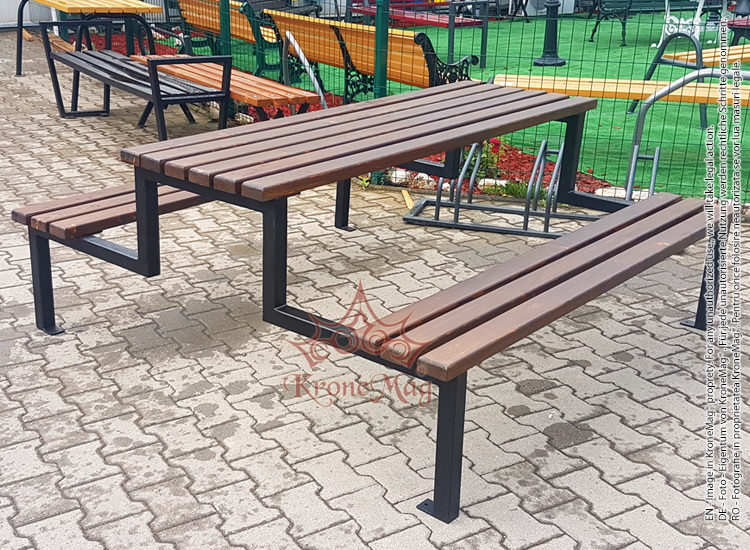 Steel Park Benches DORNA-ORThe street bench DORNA-OR is made of metal legs and wooden slats.This par.. The outdoor Park Bench KASSEL-OR is made of metal legs and wood slats.This park bench is a classical..